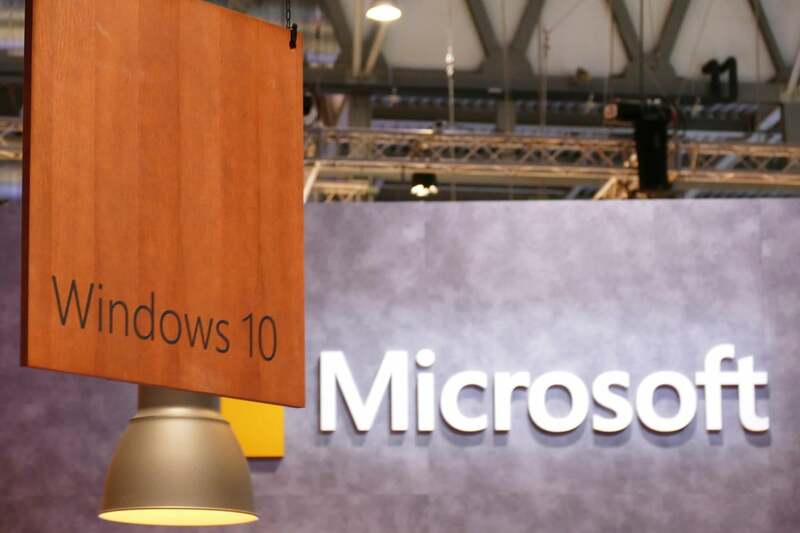 Microsoft on Tuesday promised that it will dial back diagnostic data collection from Windows 10 devices when users select the "Basic" setting for the controversial harvesting. "We've further reduced the data collected at the Basic level," said Terry Myerson, Microsoft's top Windows executive, in a post to a company blog. Myerson did not elaborate on what was to be struck from Basic, the lowest level of diagnostic data collection offered to those running Windows 10 Home or Windows 10 Pro. Currently, Windows 10 sports four gradations of diagnostic data gathering, only three which are available to all users: Basic, Enhanced and Full. A fourth, flagged as "Security," is available only to commercial customers running Windows 10 Enterprise or Windows 10 Education. The Security level sends the least information back to Microsoft, mostly data related to various defensive components, like the baked-in Windows Defender anti-malware program and the status of the Malicious Software Removal Tool (MSRT), a malware-wiping utility that the firm refreshes monthly. Microsoft describes Basic as collecting "data that is vital to the operation of Windows," and to prove that, requires it as a minimum before serving the device with updates via Windows Update. "[Basic] helps keep Windows and apps secure, up to date, and running properly by letting Microsoft know the capabilities of your device, what is installed, and whether Windows is operating correctly," the company warns. The other settings collect increasing amounts of data from a Windows 10 PC. Enhanced, for example, logs such things as "how long you use certain features or apps." Meanwhile, Full switches on other data gleaning, "including the memory state of your device when a system or app crash occurs (which may unintentionally include parts of a document you were using when a problem occurred)." Under the new diagnostic regime, Enhanced will be eliminated, Myerson said. Those who had previously opted for Enhanced must choose between Basic and Full. Changes to the diagnostic data collection practice will first reach Windows Insiders, the group that receives under-construction builds on a frequent basis. Myerson did not specify a date, saying only that the modifications would arrive for Insiders "soon." Microsoft plans to incorporate the modifications in Windows 10 Creators Update, the name it pinned on the next major upgrade. Although no release date has been set for the upgrade, clues last year hinted at a March launch. While Myerson did not detail what was to be dropped from the Basic level -- and the online documentation (here and here) had not been altered to reflect the new practices -- Microsoft later confirmed one data category on the chopping block. In a reply to questions, Microsoft said that application usage data would not be collected under the Basic setting. According to Microsoft, Basic now grabs data on "which programs are launched on a device, how long they run, how quickly they respond to input, how many problems are experienced with an app or device." Come Creators Update, some or all of that information will no longer be collected by Basic. It will, however, continue to be acquired under the Full setting. It was unclear whether the Full level would remain the default in the also-altered out-of-box experience that users encounter when they first fire up a new Windows 10 device or upgrade an existing PC to the operating system. In an email, Microsoft said that "user feedback" drove the move to modify Windows 10's diagnostic data collection practices. That feedback had been largely negative, and began almost simultaneously with the OS's mid-2015 debut. Users criticized the sweeping data gathering, which was more aggressive than that done by predecessors, including Windows 7 and Windows 8.1, blasting the company over the amount and kind of data digested and transmitted, and protesting when they discovered that they were not allowed to completely disable the technology. In August 2016, the Electronic Frontier Foundation (EFF), waded in on Windows 10's data collection and transmission, and urged Microsoft to "come clean" with customers about exactly what information it plucked from the OS, and what it did with that data. Microsoft vigorously defended the practice, arguing that data collection was necessary for it to safeguard customers' PCs and improve Windows 10. In 2015, one executive went so far as to claim that the practice was "not an issue of personal privacy." Myerson roundly rejected that assertion on Tuesday by repeatedly using the word "privacy" in the blogged announcement, expending some of the 20 uses of the word in phrases such as "We are launching two new experiences to help ensure you are in control of your privacy" and "In the Creators Update, we are making some changes by simplifying the privacy settings themselves and improving the way we present the privacy settings to you."